Search the newest Hillsboro Mile homes for sale below. Hillsboro Mile is an exclusive stretch of the luxury real estate located on the barrier island of Hillsboro Beach. 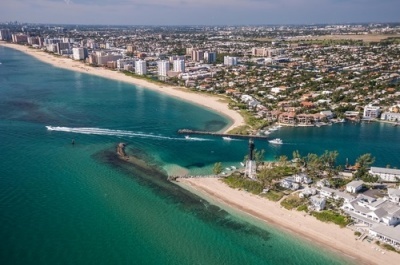 This upscale waterfront community is situated only 20 miles north of Fort Lauderdale and is bordered by Pompano Beach to the south, and Deerfield Beach to the north. Homes in Hillsboro Mile sit on properties with direct oceanfront on the east side, and the Intracoastal Waterway on the west side of the island. The oceanfront side provides residents with a beautiful sandy beach, and on the Intracoastal side, there is deep water dockage with room for a large yacht.